Alteryx commissioned a survey into the attitudes and behaviours of business executives in the UK and US to find out how they use information in their businesses. Alteryx commissioned a survey into the attitudes and behaviours of business executives in the UK and US to find out how they use – or abuse! – information in their businesses. The findings show that executives are often waiting a surprising length of time to get the information they need to make business decisions. There are also interesting reasons why sometimes they don’t trust their data. Our survey sample covered a variety of executives in firms that range from less than 50, 50 to 249, 250 to 499, 500 to 999, and 1000+ employees. They all had roles as either middle management/professional, senior management/professional, director, or were the business owner. The diverse range of respondents were from many sectors including: professional services, arts and culture, legal, HR, IT & telecoms, finance, sales, media and marketing, retail, catering and leisure, healthcare, manufacturing and utilities, architecture, engineering and building, travel and transport, and finally – education. There were some interesting findings about just how long executives at different levels tend to take when making a strategic data-backed business decision. We asked our respondents to tell us about making decisions in workforce management, forecasting and planning, optimisation, financial, and finally for marketing and sales decisions. Across the UK and US overall, the whole process of making a decision, from requesting business information to the moment of decision, took just over 12 days. The whole UK decision-making process tended to run a little longer, taking just over 14 days. In the US they appear to be faster, taking on average just over 10 days for this data-backed process to result in a decision. Digging deeper into the findings, some interesting little nuggets stood out across the various types of decision and those making them. Oddly, UK directors tend to take the least amount of time in making decisions in the area of workforce management: That whole process (again, from requesting information to making that decision) took on average seven days, whilst US directors tended to take the most time in this area, on average taking 13 days from start to finish. It takes considerably less time in UK companies with less than 50 employees to make a forecasting and planning decision, with 8 days versus the whole-spectrum UK average of 16 days. In US companies with less than 50 employees it takes on average 12 days, slightly longer than the overall US average of 11 days. Clearly there are differences in culture and legislation, but it’s interesting that a similarly sized business might be behaving in a markedly different way depending on what side of the ‘Pond’ it calls home. In the US, as one might expect, they are no slouches when it comes to getting on with the process behind marketing and sales decisions, taking 11.2 days – but in the UK, 14.6 days. When it comes to financial decisions, that process take a transatlantic average of 12 days. This tended to vary depending on the size of the company with an average of 9.5 days for companies with less than 50 employees and 14 days for companies with 50-249 employees. But this average hides another big swing between the two countries, because it took just eight days in the US, compared to 20 in the UK! When requesting information for making decisions, it takes on average 13 days to get what’s needed for marketing and sales decisions. So overall, it generally takes upward of ten days to both find the information and then answer business questions. The UK and US vary in industry and size in how long this takes, but they range around 8-15 days. Following this question we dove into what elements of information gathering our transatlantically-based respondents would like to improve. The right information drives the right decisions, but accessing, integrating and making sense of all the disparate data can be challenging. It may be that many businesses are relying on multiple tools and resources to get the information they need. So it’s time-consuming, expensive, complicated and can delay the decision making process – as has clearly been found given the timescales in the decision making processes. It may (as later answers suggest) be that even with access to business information, decisions still need to be checked and further feedback sought before some executives feel that they can be trusted. How long is acceptable for gathering information? When asked how long executives think it’s acceptable for their team to spend gathering information before making a decision, they argued it should take on average 10 days for workforce management. However those in companies with less than 50 employees thought it should take slightly longer at 15 days. In regards to forecasting and planning, business decision makers thought it should take on average 12 days, but for optimisation a little less, at 11.5 days (nine in the US, 14 in the UK). The answer was also 11.5 days for financial modelling. Once again, those in companies with less than 50 employees bucked the trend by a small amount, saying 13 days (10 in the UK, 16 in the US) was acceptable for this process, slightly below the overall average for companies of all sizes. When it comes to marketing and sales modelling, our respondents thought it should take 13 (16 in the UK, 10 in the US) days. But just in the UK, business owners specifically thought 22 days was acceptable, higher than other job titles and above the overall UK average. Clearly not all decisions are equal, and some may require much more information gathering and preparation. It seems that many business decision makers might be perhaps inured to the time it takes to gather information, as the average times aren’t far off the times reported. It would be great to think that all these businesses are operating at peak optimisation, but it’s likely that many are using IT staff to crunch data and dig it out of legacy software systems. It may be that these companies aren’t aware that they can self-service their business data analysis needs. Once Alteryx customer, UK supermarket Sainsbury’s, set themselves an internal SLA for data processing of seven days following a self-service push within the business. How should the business improve decision making? 39.5 per cent of business decision makers said the speed of access to information is a top factor they’d like to improve for better business decision making in their company. Nearly a quarter (24 per cent) said using more data-backed information in decision making is a top factor they’d like to improve. When it comes to accuracy, 27 per cent (a varied 22 per cent in the UK and 32 per cent in the US) said a reduction in errors in the delivered insights will be key to a more successful data regime. And almost a third (31 per cent, made up of 22 per cent in the UK, 40 per cent in the US) of decision makers said that access to information is what they need to improve for better business decision making. It’s clear that there are better ways of dealing with information that can lift a business from a second class data user to a first place information leader. In the world of work, there’s been a growing recognition that data-driven decisions deliver results for some time. Business data can provide a goldmine of insights waiting to be discovered, buried in data warehouses, spreadsheets or locked in the heads of colleagues. In a competitive landscape these insights are the route to advantages over rivals. 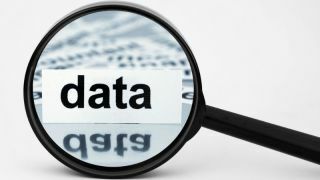 Organisations need to ensure that data sits at the heart of its make-up. How can a company make sure business decisions are rooted in information, rather than based on instinct, intuition, and guesswork? It takes a cultural shift across the company and can be achieved by training the right people, giving them the tools they need to become analysts of their own data – and leading by example. The research was conducted by Opinion Matters, with 504 business decision makers in the UK and the US between 08 February 2017 – 10 February 2017. Opinion Matters abides by and employ members of the Market Research Society which is based on the ESOMAR principles.